Torresian Crow - or Australian crow is native to the north and west of Australia. It is well adapted to fringe habitats including farmland, towns and cities as well as woodland, open scrub, beaches, and swamps. 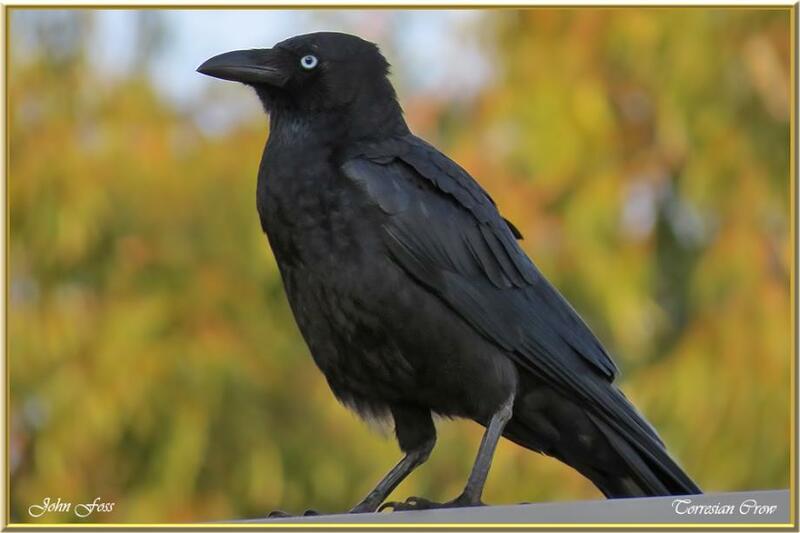 As most corvids do it will will eat fruit, insects and other invertebrates, eggs, garbage and carrion. Photographed in Bundaberg Australia.